Back at the car, another perfect moment. Sipping good coffee at my friend Sylvia’s house in Lander, the Monday morning bustle started slowly around me. I wasn’t due back at work in Missoula for a few more days, and I had some time to transition from the wilderness back into normal life. I smelled diesel fumes mix with wispy grey clouds against the Wind River range as the sun burned off the night chill. Lander is a gateway to the Winds- I ordered my first set of maps from Wild Iris in 2002 and is home to NOLS, the organization that formalized my wilderness knowledge. That morning, the calm remoteness of this small Wyoming town settled on me like a magic spell. The Wind River Mountains are the best place. Just the best. All of my practice in writing about mountains comes up short against describing this place. The vast golden meadows, dark evergreen groves, and striking granite walls leave nothing for want. It is simply perfect here. Back in Missoula the mornings start later. Days are still hot, but cool nights tell of the impending autumn. I’ve climbed in the Bitterroot the past two weekends, and the lessons from my trip continue to enrich the experience here. My trip to the Winds shows me how much of my own backyard is incredible. How much is possible, without getting that far from home. How much more I can learn and do, without the carbon footprint of international travel. I could drink the Winds for the rest of the my life and never miss a drop of anything else. I am there, and I am fulfilled. I’ve been chewing on the idea of perfection lately. To call my time in the Winds perfect seems to evoke hubris, but not to acknowledge these best days as anything less feels ungrateful. To think that my life is perfect seems boastful, but it’s fun to think that it might be. The lesson is in realizing the perfection of moments, amidst the imperfect reality of daily life. It is the imperfections that make this all beautiful- that add the character and perception to know the flawless bits. 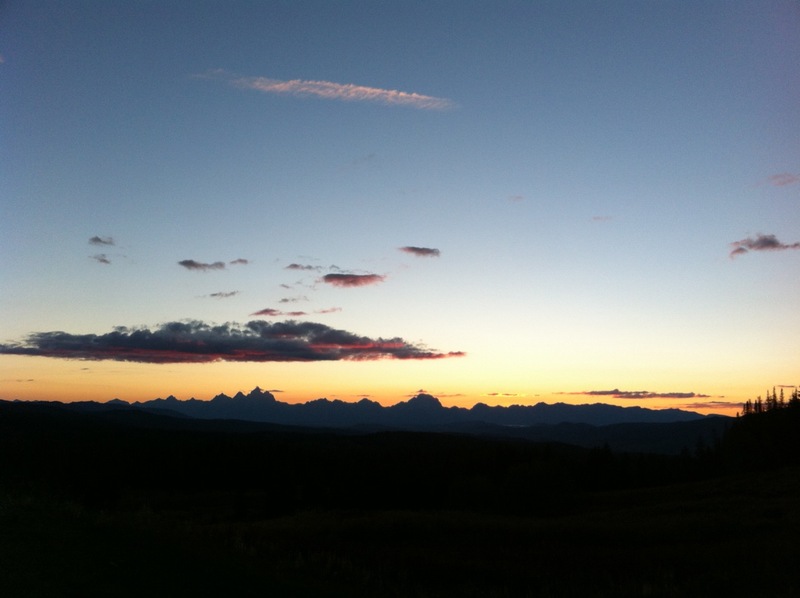 Sunset over the Tetons. My backyard is big. 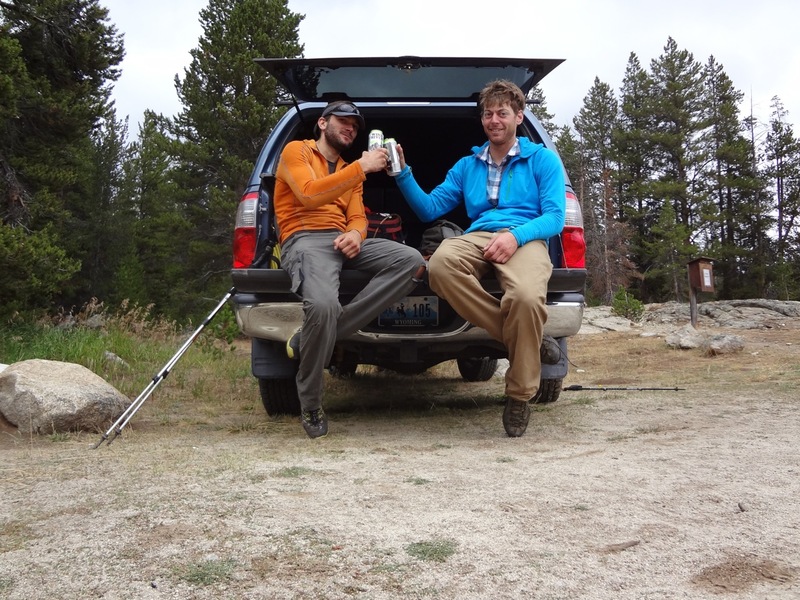 This entry was posted in Montana Experience, Philosophy, Traveling and tagged friendship, Lander, NOLS, Wild Iris Sports, wilderness, Wyoming on September 22, 2013 by sticker1.